Perhaps it's time to give it a try! November 6, 8, 13, 15, Bonus night, Nov 27th! for the beginning and novice skater. If you have always wanted to try the fastest human powered sport on the planet, now is your chance! Amy Peck, a 5 time Olympian, will be the lead instructor supported by seasoned speed skaters from the club. 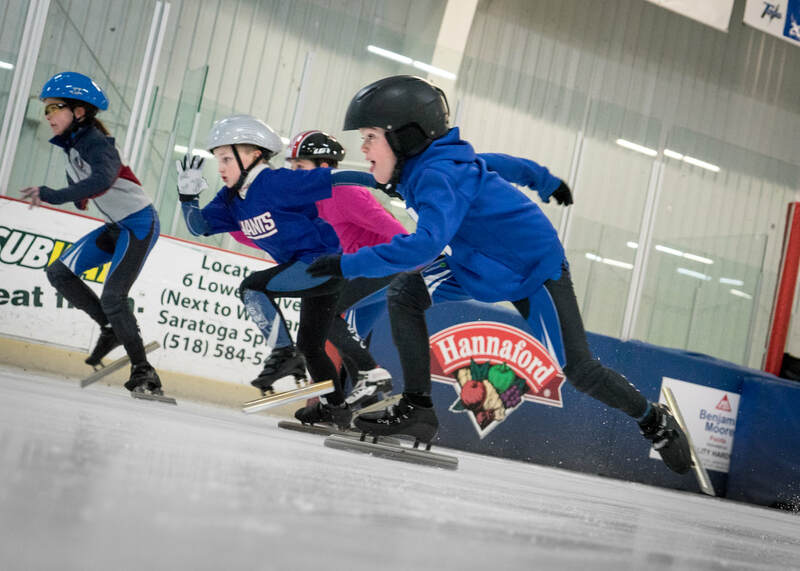 Classes will include instruction in dry land (off ice training done by all speed skaters), safety, and equipment, as well as on-ice time each night. Personal attention is high as classes are limited to 12 new skaters. A $50 fee includes mandatory US Speedskating Insurance as well as equipment if needed. Visit our Guest Skater page for info on clothing and equipment you will need.